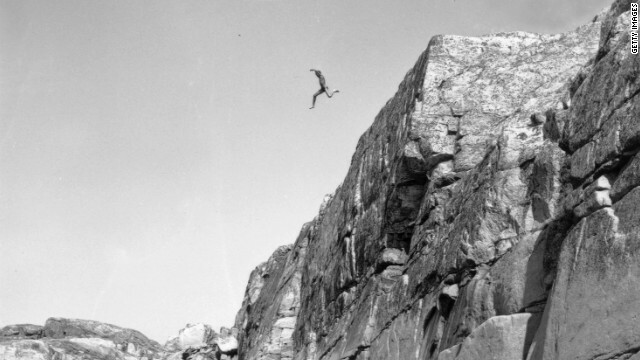 If Congress goes over the "fiscal cliff," economists warn it will drastically hurt the economy. (CNN) - Great. So now, in addition to having to get our collective American mind around the concept of a "fiscal cliff" facing Congress, we also have to worry that it could tank the economy? Yes. This week, the Congressional Budget Office released its latest economic outlook, including its assessment of what will happen if Congress does nothing to address the so-called "fiscal cliff" of tax increases and spending cuts coming next year. [1:24] "It would probably lead to a recession early next year," said CBO Director Doug Elmendorf. So fewer jobs. Tougher times. [1:56] "We're concerned that imposing a significant increase (in taxes) will raise our cost of business and thereby affect the cost of electricity for all our consumers." Democrats are like lemmings, they take your money and leap off the cliff into the dark ages.